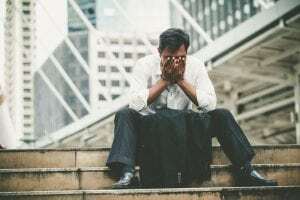 Stress impacts us all at some point or another, and it can lead to serious problems both in the workplace and in individual lives. The adverse effects it has on our mental and physical health play a huge role in decreasing Productivity levels, Organisational Effectiveness and Employee Wellbeing – so it’s vital to know how to prevent and control it. Take long, deep breaths and try and focus on just your breath – not only does this simplified form of meditation help re-connect your mind to your body but it physically relaxes your body (sends more oxygen to the brain, slows heart rate and relaxes muscles). Breaking everything you need to do down to a list form aids in making you feel in control of the situation, provides a clear game plan, and helps you get focused. The brain releases a little bit of dopamine (a chemical which allows us to feel pleasure and motivation) when you achieve or succeed. So by breaking down big goals into smaller goals, you can keep getting ‘runs on the board’ and feel good about making process. If your situation isn’t one that can be broken down into a list – try writing a journal entry instead! This has been proven to reduce stress through its meditative and reflective effects. According to a 2009 study, the simple act of making eye contact with a dog releases oxytocin, often referred to as the love or hug hormone — it makes us feel good. It also has the added anti-stress benefits like reduced blood pressure and decreased corticosterone levels. This physically relaxes your muscles, and in turn, your body. In 2002, a University of Wolverhampton study found that a daily bath, usually at the end of the day, significantly improved the mood and optimism of the participants. The effect music has on the brain is incredible – it has a unique power over our emotions as well as being able to relax our minds and bodies. Scientists recommend slow, classical music in particular, but if this doesn’t suit you – try out something quiet and calming in one of your preferred genres instead. Taking yourself out of the stressful situation momentarily, and going for a quiet walk outdoors aides in clearing your head and calming you down. This is another way to help take your mind out of the stressful situation and put things into perspective. Try to imagine yourself in this place (whether it be lying on a beach or lying in the arms of a loved one), this stimulates the release of ‘happiness chemicals’ which calms you down. Not only does looking after your body, improve physical and mental health, it also elevates mood boosting hormones and reduces stress inducing hormones. According to Professor Elizabeth Gould, of Princeton University, New York, physical activity reorganises the brain so anxiety is less likely to interfere with normal function. Yoga, in particular, is a good form of exercise for stress relief, as it places a huge focus on creating a sense of inner peace, harmony, and clarity of mind. In an increasingly digital world, the importance of disconnecting has become clear. As well as increased stress, digital burnout has been linked to sleeplessness and relationship problems at home, translating to decreasing organisational effectiveness in the workplace (Find out more here). Taking breaks from both work and the digital world not only reduces stress, but it allows your brain to relax and recoup from a long work day in preparation for the next. Staying on top of situations allows us to feel more in control and helps us to prevent stressful situations. Positive relationships have been proven to reduce stress and have been linked to overall improved health. According to the American Psychological Association – one of the most effective ways to reduce stress is by reaching out to family members or close friends to let them know you’re having a tough time. They may be able to offer practical assistance and support, useful ideas or just a fresh perspective as you begin to tackle whatever’s causing your stress. With a broad range of experience through part-time roles, internships and freelance work across a range of sectors, Catherine enforces a strong visual representation of the brand which is key to business success. She enjoys using her skills in photography and illustration to further enrich her designs. Catherine has a passion for developing her repertoire of design skills to keep up with the latest trends in an ever-changing industry. She has honed her skills in social media marketing by working with various companies to create and maintain strong, consistent online brands.